Dr.A.Sivakumar, a plastic surgeon in Chennai, is the Director of the Desire Aesthetics at Chennai. The Center for Cosmetic Surgery was established to provide patients with both the art and science of plastic surgery. Dr. A. Siva Kumar is recognized for his efforts in patient education and has an excellent reputation for achieving a natural appearance for his patients. Dr.A.Sivakumar completed his undergraduate studies and his Master Of Sugeries at Tamilnadu Dr.M.G.R Medical University. 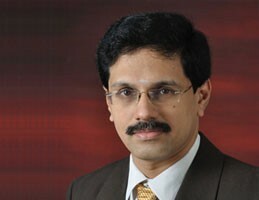 Dr. A.Siva Kumar Completed Plastic Surgery residency in Stanley Medical College, Chennai. During his three-year plastic surgery residency, he conducted research in both cosmetic and reconstructive plastic surgery and presented his research at both state and national scientific meetings. His philosophy focuses on the use of small incision and fast recovery techniques to give natural looking results. Dr A. Sivakumar’s goal is to help his patients look better and feel better about themselves.His articles have been featured in peer-reviewed surgery journals. Dr.A.Sivakumar is able to provide expertise that can only come with specialization: Facial rejuvenation and adaption with eyelid surgery (blepharoplasty), nose surgery (Rhinoplasty), face and neck surgery (rhytidectomy), mouth and lip surgery (perioral and lip augmentation), cheek and deep line surgery (volume replacement with fillers or stem cell fat augmentation), ear surgery (otoplasty), chin surgery (chin implant) hair recession (hair transplantation) and skin treatments (non-surgical treatments, botox, fillers). Some of these procedures are only suitable for selected cases and he will provide guidance on what will result in the most attainable and natural looking results. With over 10-years of surgical experience his success has been driven by an obsession with detail and pride on perfection. Dr.A.Sivakumar was honored to receive the best Doctor Award, an award given by the Tamilnadu Dr.M.G.R Medical University at the time of Silver Jubilee Celebrations of the university. He is a Life member in Association of Plastic Surgeons of India, Association of Aesthetic Surgeons of Indian, Indian Society of Hand Surgery, Association of Surgeons of India, Indian Medical Association.